← Don’t just say it – sing it! Despite the cold, the Duke of Wellington is looking truly tropical. 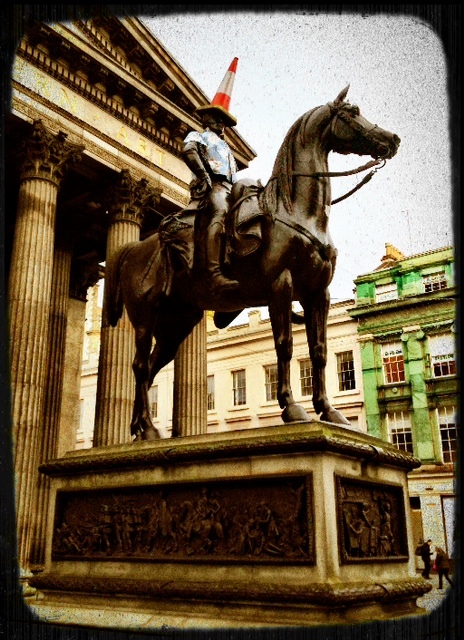 This entry was posted in Glasgow images and tagged Funny sights, Glasgow statues, The Duke of Wellington. Bookmark the permalink.